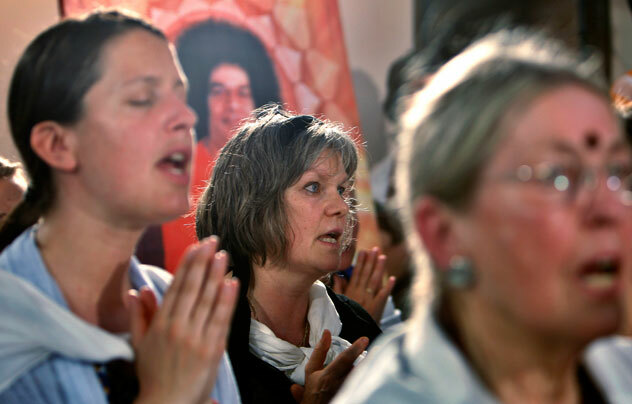 Devotees from all over the world wait to see the body of Hindu holy man Sathya Sai Baba at his ashram in Puttaparti, India, Sunday, April 24, 2011. Sai Baba, considered a living god by millions of followers worldwide, died Sunday in a hospital near his southern Indian ashram, a doctor said. He was 86.